1. Stay hydrated. Drinking plenty of water is something that is quite easily forgotten about when there are pina coladas that need drinking. Make sure you carry a drink bottle with you on your travels and keep it easily accessible. If you know you need help with this one consider a water reminder app on your phone. Remember, alcohol, tea and coffee are all diuretics – this means that they actually dehydrate you. 2. Movement. If you have long periods in transit, make sure you get up regularly a move your body as much as possible. Abdominal twists, squats, or any exercise that moves or puts pressure on your belly is a good option. 3. Normality. Try to preserve as much of your normal daily routine as possible. If you usually start your day with a relaxing cup of slow sipped tea, keep it up whilst you’re travelling. Changing time zones can be very disruptive to your otherwise regular bowel habits. So do your best to adjust to the new time zone as quickly as possible. 4. Never ignore nature’s call. 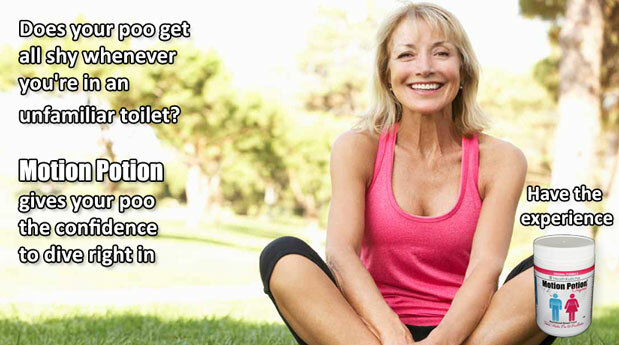 Holding on and resisting the urge to poop is probably the most common cause of travel constipation. It can be difficult, as there may not be an accessible toilet nearby or one that you feel comfortable using. Make it a priority to locate a toilet whenever you feel the urge and if you’re feeling uncomfortable in an unfamiliar space, try listening to some nice relaxing music, read a book, or do some deep breathing whilst in the loo. Waiting for familiar porcelain can be a BIG mistake. 5. Exercise. If you’re a regular at the gym or even just take a walk each day, it’s very important to keep up a certain level of physical activity whilst on holidays. Do your best to keep moving at least as much as you usually would. 6. Diet. Ok, so we all know the diet usually goes right out the window and rightly so! There are so many new, different foods to try. So treat yourself, but you can include some good options with your meals to make sure you stay regular. Yoghurt is an easy one that is packed full of live probiotics. Traditional Sauerkraut or other pickles vegetables can be great too. Take advantage of local or traditional foods. Many of them are very beneficial to your health. Always try to include some raw fruit or vegetables in each meal for the extra fiber content. You can grab a 5 day travel sachet for just $5 with free postage Australia wide for those short trips. 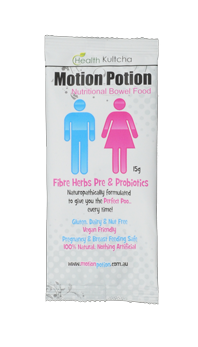 It’s also available in convenient, easy to take capsules and a range of sizes in powder form. It’s great for when your bowels are feeling a little shy. 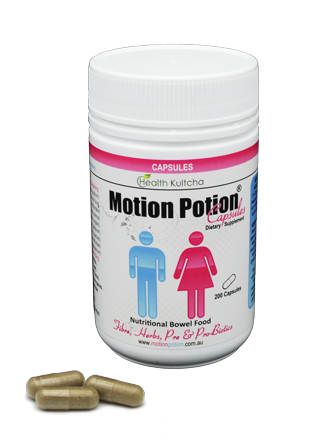 Go to www.motionpotion.com.au for more information. Mature Traveller has been using Motion Potion for many a year, as regular (sic) readers will be aware. We have found it to be the almost perfect travel companion. Michael Osborne.